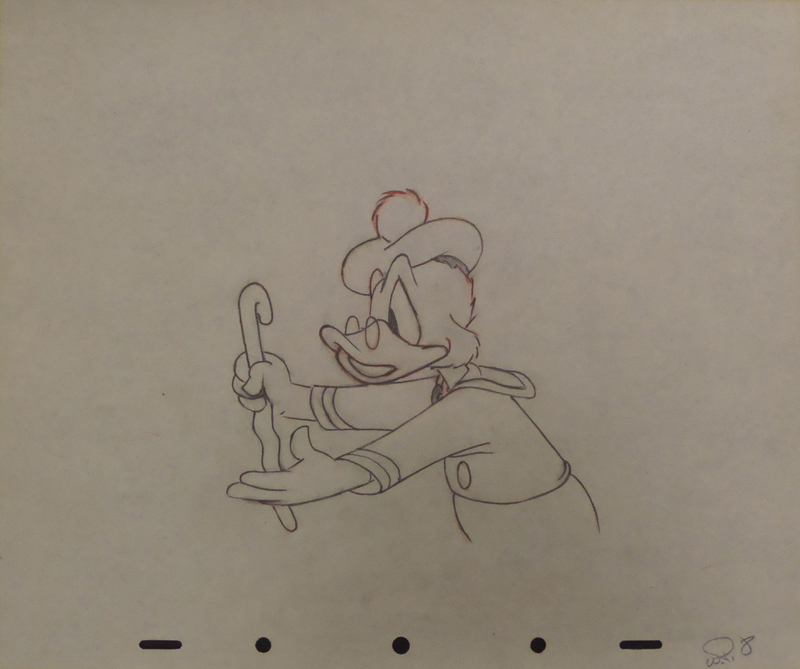 This is a great original production drawing featuring an older version of Donald Duck from the propaganda short, "The Spirit of '43" (1943). The short was meant to urge Americans to pay their income taxes to support the war effort, as Donald Duck has to decide between the temptations of the Hitler-supporting spendthrift, and the all-American thrifty saver. This short also marks the first appearance of a character resembling Scrooge McDuck. The untrimmed animation paper measures 10" x 12" and the image measures 5" x 5.5".